New Year’s Resolutions often reflect the desire to become healthier, lose weight, stop eating junk food, and exercise more. Each year brings new diets promising the fastest weight loss. Yet, not long into trying the latest and greatest “diet” plan, things often backslide even with good intentions. There is a concept that may help you understand the body and its metabolism a bit better. The concept relates to gut motility and the migrating motor complex (MMC). Gut motility and the MMC not only are essential to a healthy gut and gut flora, they are entwined with blood sugar, leptin, weight management and feeling satisfied or full when we eat meals. It is essential to keep the MMC in a good working order to help maintain satiety, healthy weight, metabolism, and blood sugar. We have all heard and felt the MMC in our body. We may not know it by name, but the migrating motor complex or MMC is the reason for stomach growling. It is a pattern of signals in the digestive tract caused by nerves and chemicals that leads to the movement of food out of the stomach down the small intestine. The migrating motor complex has historically been called the “housekeeper” of the gut due to its ability to sweep contents down the intestinal tract. The migrating motor complex is regulated by a multifaceted neurological network consisting of the central nervous system, vagus nerve/cranial nerve, and powerful signals within the enteric nervous system or the gut’s own nervous system. Several hormones and chemicals are involved in its regulation. These include the hormones such as motilin, ghrelin, and leptin, and neurotransmitters like acetylcholine, serotonin, and of course food intake. MMC activity pushes or sweeps food down the digestive tract occurring in cycles. In humans, this cycle happens about every 90-120 minutes and has four different phases with each cycle. These cycles are an important part of metabolism, satiety and hunger, food transit time, blood sugar regulation, bowel movements and the gut microbiome. In a healthy individual who hasn’t eaten in a few hours, the MMC growls or signals hunger as a result of numerous signals from the brain and hormones. Dysregulation and imbalance of the migrating motor complex and its neurochemical team is like a train derailment. When one train car falls off the track, it affects the whole train. Indeed, when MMC signals are disrupted, it has a cascade effect which can lead to excess hunger or the opposite with no appetite, blood sugar dysregulation, and impairment of hormones like leptin and more as we will see below. Symptoms of significantly impaired gut motility and MMC dysfunction may lead to a phenomenon known as delayed gastric emptying or gastroparesis. This level of dysfunction may cause pain in the abdomen, nausea, burping, belching, bloating, heartburn, indigestion, regurgitation, feeling full sooner than normal or loss of appetite, and vomiting. Whereas a return of appetite after illness or a bout of diarrhea or constipation, passing gas and having a bowel movement after surgery indicates that the MMC and its connections have “woken up” and are getting back on track. Changes in pH levels from stomach to small intestine are vital to MMC activity. Gastric acid release from the stomach into the small intestine triggers a chemical and pH change. This pH change must occur in order for the MMC to activate in the intestines. Release of stomach acid into the small intestine triggers normal MMC activity. Lack of downward movement of food, diminished gut motility, and impaired acid secretion affects the MMC and leads to symptoms of acid reflux. Acid blocking drugs like proton pump inhibitors or PPIs are linked with gut motility problems as they disrupt one of the phases of the MMC activity. Acid blocking drugs are also an independent risk factor for small intestine bacteria or fungal overgrowth (SIBO/SIFO). Small intestine bacteria overgrowth (SIBO) is a result of impaired sweeping actions of the MMC in the small intestine. Researchers have found that obese individuals struggle with SIBO. Derailment of the MMS is linked with blood sugar disorders like Type 1, 2, and 3 diabetes. Those who have diabetes often struggle with MMC impairment to the point of gastroparesis or delayed gastric emptying. This makes blood sugar levels rise along with harder to manage insulin and leptin levels. As diabetes rates increase across the globe, so do concerns with gastroparesis and a dysfunctional MMC. Food types affect MMC activity both positive and negative. From youth to adulthood, a healthy diet with a mixture of quality proteins, complex carbohydrates, high fiber foods, and good fats and not too much omega-6 plant-based oil is the simplest way to help the MMC. These foods help MMC regulation, satiety, and blood sugar metabolism. On the other hand, simple sugars, like soda pop, fruit juice, fruit and veggie smoothies, other high sugar beverages, and fruits like watermelon which have a high glycemic index, cause a rapid dumping or movement out of the stomach flooding the intestinal tract with megadoses of sugar. This affects the release of leptin, ghrelin, insulin, and other chemicals involved with blood sugar regulation. It causes adverse stress on the MMC and leads to increased hunger or lack of satiety, weight gain and obesity. Small consumption of high glycemic fruits, fruit and vegetables juices with a balanced meal is not an issue. The concern is intake between meals and out of balance with the needs of the body. A recent animal study evaluated the effects of stress and intestinal motility on rats. The rodents were put into a significant stress state to the point of physical exhaustion. As a result of the stress, intestinal motility and gastric emptying slowed down to a crawl. MMC activity was interrupted. Think about the last time you were dealing with significant chronic stress, it is likely your bowel motility was affected. Stress impacts the MMC. The MMC is largely regulated by many facets of the nervous system. Disruption to any part of the nervous system, i.e. brain, especially the cranial nerve/vagus nerve, and even the gut flora’s communication with the gut’s enteric nervous system, affects the MMC. The vagus nerve is the neurological highway between the gut and the brain. Sluggish nerve function, inflammation or autonomic neuropathy as seen with diabetes affects the vagus nerve. This affects MMC activity and increases the risk for small intestine bacteria overgrowth. The vagus nerve relies on a number of compounds to function and maintain integrity. One key nutrient is choline, a B vitamin-like nutrient. Recent research shows the brilliance of the digestive tract, brain, and vagus nerve connection. Science now shows that the vagus nerve provides information about the amount and type of the nutrients coming in to be digested. Based on this information, it sends signals to the brain that make you feel satisfied or hungry. When signals are overridden with chronic overeating and excess intake of calories, the balance is disturbed. The train derailment continues and leads to altered MMC function, further overeating, and increased problems with weight gain and elevated blood sugar. High fat diets have been found to alter vagus nerve function, change gut flora, and can lead to gut inflammation and affect MMC activity. Other research shows that chronic intake of high fat diets and the resultant vagus nerve dysfunction, led to leptin resistance and changes with CCK and other hormones involved with gut motility. The result led to weight gain and insatiable appetite. Fiber helps the MMC in several ways as it helps the beneficial bacteria produce short chain fatty acids (SCFAs). This helps to suppress appetite and assists the MMC with transit time or how long it takes for food to move through the digestive tract. As little as an additional 10 grams of fiber per day helps support the MMC activity. (Most Americans eating the Standard American Diet /SAD consume 10-12 grams of fiber per day). Additional fiber results in improved fat burning, weight loss around the mid-section, helps liver metabolism and reduces fat build-up in the liver. Fiber helps insulin sensitivity and reduces body fat stores. Fiber helps the brain feel fuller or provides “central satiety” helping to reduce that “I’m still hungry” feeling even though a meal was just consumed. Intake of insoluble fiber improved blood sugar stability and reduces the risk of elevated blood sugar because of the effects on bowel motility, gut flora, and the MMC. Proteins, as seen with high intake of whey protein mixed with some fiber and good fats slows gastric emptying, helps keep blood sugar stable which supports a healthier MMC activity as seen in a recent study. The best results for appetite satiety and stable blood sugar occurred with higher intake of whey protein relative to the other foods. The higher protein intake helped MMC activity and supported leptin and ghrelin for satiety. This led to stable blood sugar levels after eating, preserved muscle mass, and less stressed insulin function. However, when whey protein was mixed in equal caloric portions with simple sugar (dextrose) and olive oil, it did not provide the same benefit. Consuming whey protein before a high carbohydrate meal also helps reduce blood sugar spikes after meals. Current research shows us the fascinating intelligence of the gut and taste connection. Receptors in the gut can detect the type of compounds in the stomach similar to how the tongue can distinguish food types. Researchers founds that when bitter tasting food is consumed, it sends signals to modulate gastrointestinal function to eat less and stabilize blood sugar highs and lows. Eating bitter tasting foods affect the rate at which gut hormones are secreted and satiety occurs via the MMC. The MMC is also tied into body clocks. Melatonin, a sleep hormone produced in the pineal gland of the brain, is also produced in endocrine cells within the gut lining. In the gut, melatonin has a different purpose than sleep. Melatonin affects hunger and satiety signals and relates to the electrical internal biological clock linked with night and day. Disrupted circadian rhythms are linked with insulin resistance, obesity, changes in gut clocks, reflecting a challenged MMC. Our society has easy access to food. Unlike generations before us where physical activity and labor was required to obtain and prepare foods, we have the luxury of quick preparation, access, and often calorie rich, nutrient poor foods combined with lack of physical activity. This combination does not help the principle that the gut and MMC along with numerous hormones like leptin, CCK, and ghrelin, need a break with food intake. Fasting overnight for 10-12 hours and between meals for 3 hours or longer allows the numerous processes to occur and finish the “housekeeping” duties of the gut and metabolism. When we help our bodies by fasting between meals, it allows blood sugar to be used and the leptin hormone to work. The consequence is better metabolism, healthier blood sugar levels, a rhythm to gut function and better bowel movements, and improved weight management. Moderate physical activity also supports the MMC. Grazing, extensive fasting, and extreme diets trigger responses often with long-term adverse effects. This article will not delve into some of the current excitement around various diets. It is necessary though to understand that the body prefers balance. We find that the MMC is affected by several things. The taste of food coming into the stomach, pH changes which require adequate stomach acid, fiber intake, food types (protein versus carbohydrate versus fats and in what balance), vagus nerve functional integrity, and functions differently in lean versus obese individuals. Changes in circadian rhythm and shift work affect the MMC. Stress types, i.e. acute versus chronic, anger versus anxiety, also affect the MMC, gut motility, and the neuroendocrine digestive balance. Long-term challenges to the brain-gut axis with dysfunctional or impaired vagus nerve and MMC function are linked with several concerns. This affects diabetes, obesity, SIBO/small intestine bacteria overgrowth and SIFO/small intestine fungal overgrowth, but also it affects intestinal permeability, IBS/irritable bowel syndrome, depression, anxiety, neurodegeneration, and autism spectrum disorder. There are likely other disorders that are affected by MMS impairment as gut health affects every system in the body. The function of gut motility, its interwoven ability to interpret type of foods and the cascade effect on hormones and neurochemicals affecting the brain and overall metabolism is absolutely beautiful and amazing. Getting back to the basics helps honor this work of art. This article provides a handful of details on the marvelous actions of the MMC, gut and metabolism. Here are some take away points. The digestive tract and the brain talk to each other. When we overeat or eat too much of one single food group or foods that are not normally found in nature, it stresses metabolism and movement of food through the digestive tract. If diets lack fiber or if we engage in stress eating, these concerns impact the MMC’s function. If you have a history of SIBO or diabetes, the MMC is dysfunctional. Timing of food intake and allowing enough time for digestion and movement of food down the digestive tract is critical to maintain a healthy interplay between the MMC, hormones, and metabolism. Grazing and fasting both have effects on the MMC. High fat and high carb diets impair the MMC. All of these details can make one’s head spin and wonder what do I do? Go back to the basics. Follow the Leptin Diet. Three meals per day – breakfast, lunch and dinner. Think of it as the old saying “Breakfast like a king, lunch like a prince, dinner like a pauper.” Consume balanced meals with quality protein, foods with fiber, and some fat. Foods need to be from natural sources and nutrient dense, not processed or chemically loaded. Incorporate leafy greens and other vegetables for bitter taste. There needs to be time between meals for food to digest, blood sugar and leptin regulation, and for the movement of food down the track. Snacking interrupts this. Go out for your daily “constitutional walk” or exercise. Work on digestive support with enzymes and bitters. Oregano oil, capryllic acid, undecylenic acid, and noni help support a healthy gut microbiome. Choline from eggs or as in supplemental form helps support vagus nerve function. Parents often coax their infants and toddlers to eat and try new foods with the “choo-choo train”. We can take some of this information and think of the MMC as a train. It takes time and all kinds of engineers and workers for the entire train – engine, supply cars and caboose to transport and use food from point A to point B. Your digestive tract needs time for the MMC “chew-chew train” to do its job. Here are some additional resources to help learn more. 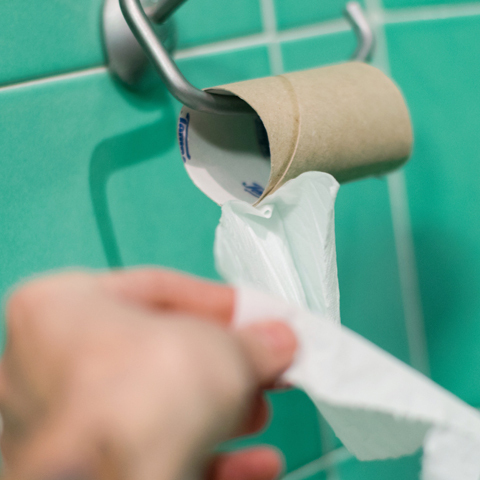 Healthy Poop: What is Your Digestive Tract Trying to Tell You?